The Conjuring provided some refreshingly nostalgic haunted house spooks back in 2013. Nothing to keep you awake at night, but it was efficiently executed fun - enough to become the second highest grossing horror film of all time. James Wan returns to the director's chair and the horror genre to tackle its sequel which tackles Britain's own Enfield Poltergeist. 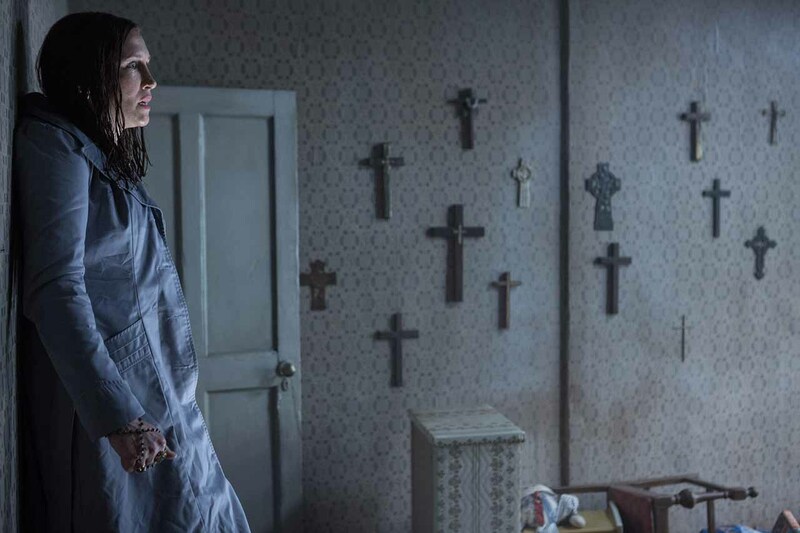 Vera Farmiga and Patrick Wilson reprise their roles as Lorraine and Ed Warren, who, in one of their most terrifying paranormal investigations, travel to north London to help a single mother raising four children alone in a house plagued by malicious spirits. There's added pressure in the fact that dubious Enfield Poltergeist case was superbly documented in Timothy Spall drama The Enfield Haunting in recent months - but there's no doubt that Wan's adaptation will give it a run for its money. The Conjuring 2 hits UK cinemas June 17th.